At Gallery Grisk we want to help you host your own street art festival – wherever you are. 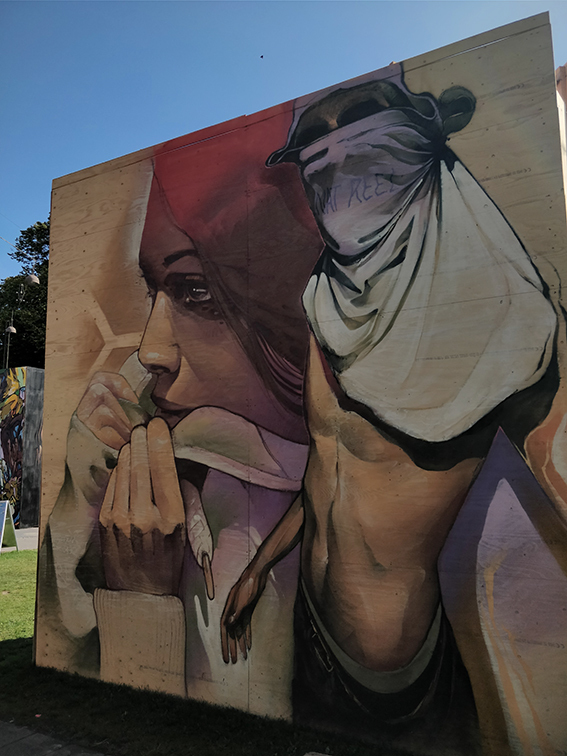 We are in contact with some of the best street art artists from the entire world, which provides no boundaries to the size and extent of the festival. A street art festival can be a single day event or part of bigger events. A street art festival can consist of permanent street decorations or street art on temporary installations. The important aspect of street art festivals is that the audience gets the opportunity to follow the process and the craft of the artist at close range. 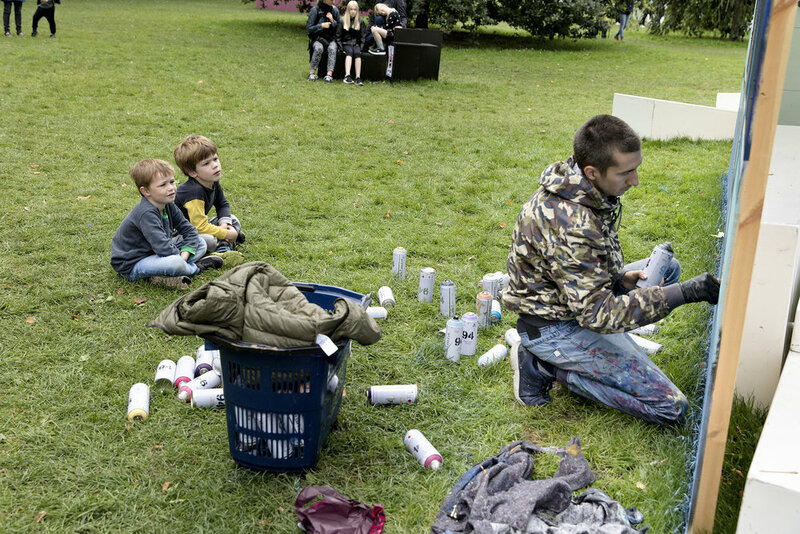 The close connection between the artist and the audience during a street art festival is unique and creates dialogue. If you want an unique festival that brings colours and life into urban spaces Gallery Grisk is the right place to go. The last festival thrown by Gallery Grisk was as a part of Aarhus Festuge 2018. 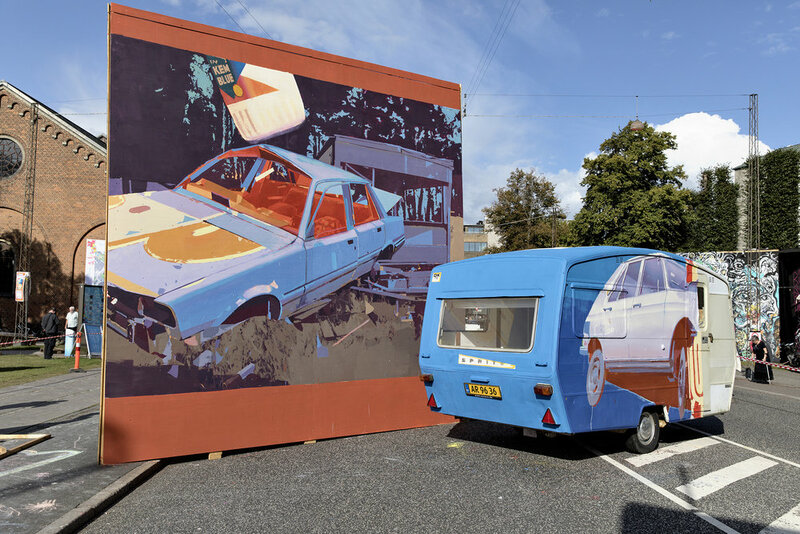 20 of the best international street art artists were invited to decorate large 5 by 5 meter walls at a park beside Aarhus City Hall. 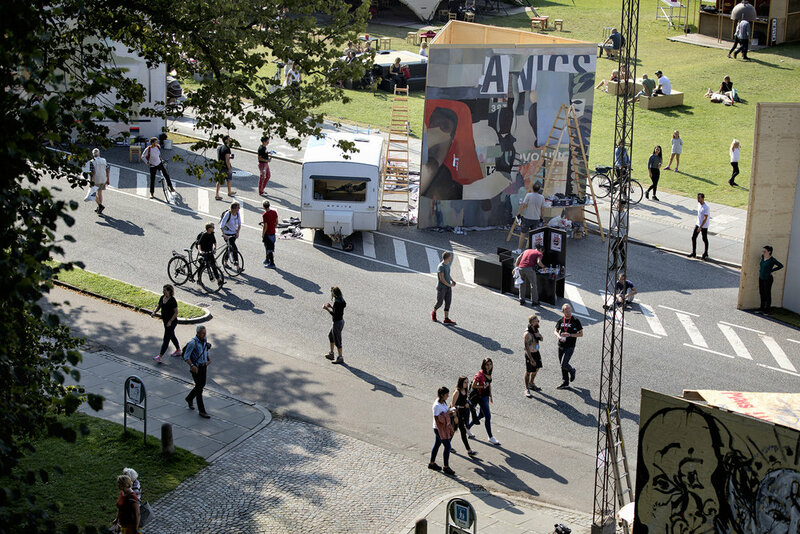 The festival was a big draw during Aarhus Festuge with over 100.000 excited visitors. The festival will continue next year at Aarhus Festuge 2019. Experience how the artists and their works fostered curiosity, dialogue and a closer connection to street art.